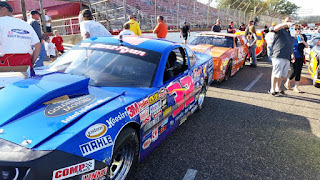 Elko Speedway begins its 51st season with an Eve of Destruction on the Saturday night of Memorial weekend, a couple weeks later than usual. Some new but familiar faces will be taking over race control at Elko. 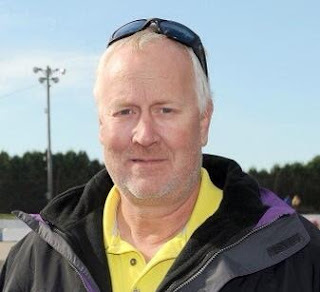 Midwest tour founder Tim Olson (above) was hired to oversee race day operations and two time former Super Late Model champion Jason Schneider has taken over the race director role. Both men are well respected in the racing community and have been open to suggestions coming into the 2016 season. One thing that will be highlighted at Elko will be the "gentlemen's tap out" rule. This has been used at some Wisconsin tracks for years. If a driver feels they are solely at fault for an accident they may pull to the bottom of the start/finish line and tap their roof, at that time only that driver will be sent to the tail of the single file line with all others deemed involved awarded their prior position. This rule will surely provide some additional drama to every caution period, so I would advise people to plan their bathroom breaks accordingly. Some slight format changes on race night will occur as well. In previous years in addition to the normal show double features were run in three divisions on Eve of Destruction nights making for a very compact race schedule when you consider all of the extra entertainment that happens on those very long race nights. 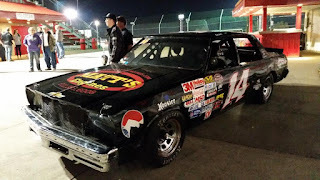 This year, in addition to the normal show, double features in four divisions will be run on the NASCAR nights, giving the die-hard traditional race fan exactly what they want, more racing. Eve of Destruction nights will have single features in all the division except for one (either the Big 8 or Super Late Models), reducing the chance of an extra long race night, that dear sir is a win-win scenario. The Super Late Model and Big 8 divisions will each have four nights off this year, they rotate doing the Eve of Destruction nights, all other nights they will run double features. Giving those drivers an opportunity to travel with the car if they wish or simply just spend more time with the family. Having a shorter season with some off nights has been more of a priority for families in this modern age of racing. Some season schedule notes: The popular MN Corn Growers FREE Admission night will return on Saturday June 4th. Elko Speedway will have fireworks on Saturday July 2nd and on the final race night Eve of Destruction October 1st. The 8th annual Thunderstruck93 event will be a one day event on Saturday September 24th. 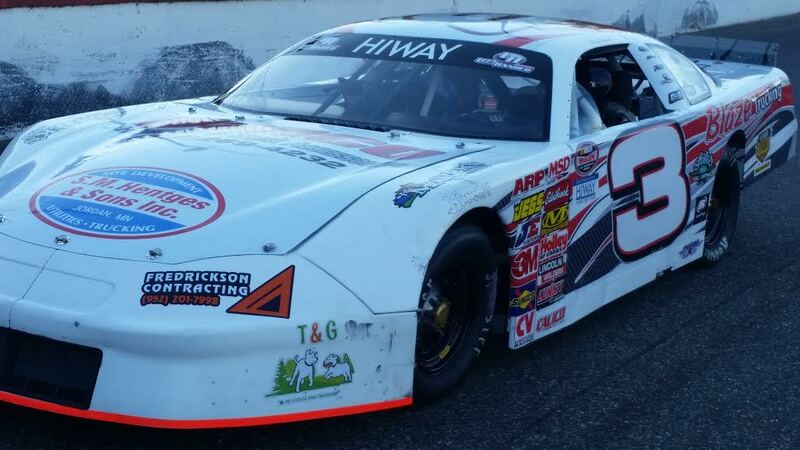 **How will Chris Marek do in his first year racing with the Super Late Models? Marek has done things the right way, he has climbed the ladder one rung at a time. Winning a Hornets Championship in 2005, then a Power Stock title in 2006, he then won the ASA Sportsman Championship in 2010 & 2011 before moving up to the Big 8 division and winning the Championship 3 years in a row 2013-2015. 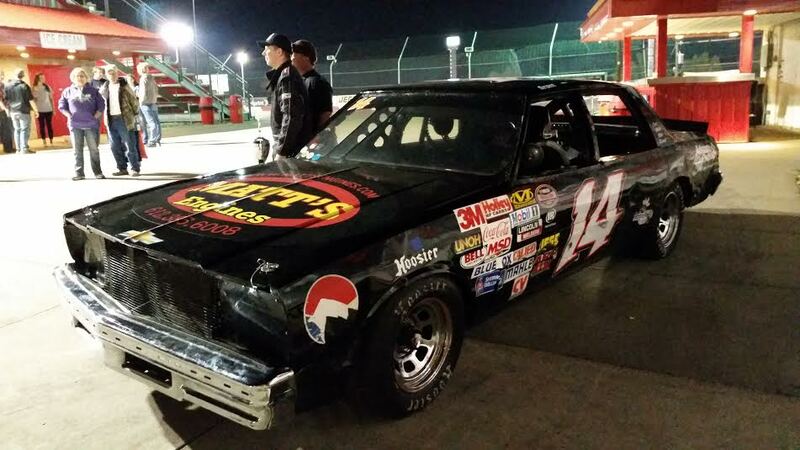 In 2015 he won an incredible 12 features at Elko Speedway. 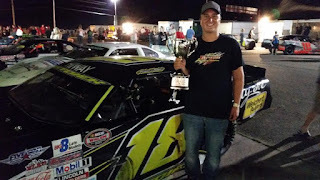 Next is his biggest Challenge but, if history means anything, expect Marek to challenge the Goede brothers for the Super Late Model title in the next couple of years at Elko Speedway. **Can Grant Brown continue his rise? Fifteen year old Grant Brown won the NASCAR division 4 National title in the Power Stock division at Elko Speedway in 2015. Now he moves up to the highly competitive Big 8 division and if that is not enough of a challenge, he is also recovering from a pretty serious injury. Brown hurt in his lower leg while skiing this winter. On a warm day Brown caught a rut and his foot jerked backwards and off to the side, when that happened his ankle folded over and smashed his leg against the side of the ski boot causing a spiral fracture that wrapped all the way around the bone. He spent the off season rehabbing, just got the boot off his left leg and plans on being ready for the season opener at Elko Speedway. Grant said he feels like he has "a lot to prove" this year and is motivated to do well. ***Will the Kane vs Wolff rivalry continue to grow? The best rivalry at Elko Speedway might be in the Thunder Car division. Brent Kane and Jeremy Wolff had a great point battle in 2015 and they seemed to always be racing near each other. The rivalry is also fueled by intensity, a mutual respect and a passionate fan base supporting each driver. I'm curious if it will be the Kane-iacs vs the Wolf pack again in 2016. ***How will the KDDP help Michael Ostdiek? Michael Ostdiek was chosen from hundreds of applicants to be part of the Kulwicki Driver Development Program in 2016. His race team is granted a prize of $7,777 with a chance to win $54,439 at the end of the year if he is the chosen winner of the Kulwicki Cup. 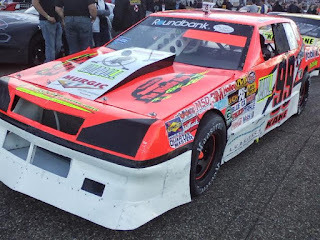 Ostdiek is a former Great North Legends Champion in 2013 and he had three Big 8 division wins in 2015 at Elko Speedway. He plans on racing in both the Super Late Model and Big 8 divisions this year on a semi-regular basis at Elko Speedway while traveling as well. Tons of stories to follow this year, don't miss out, I hope to see you all at Elko Speedway on Saturday nights this summer.